His ability is to turn voices into portraits can make voices come out of them. The condition is that he needs to bend his fingers or toes. 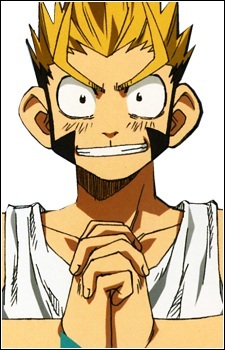 He is a power user that Ueki and Mori meet. He is prone to deception, using various novelty gags and tricks in a fight such as soy sauce bomber. He looks out for a group of kids at a place called the Sun House. His first King of the Celestial World Candidate, Nero, was a kind heavenly being that did not want to become the King of the Celestial World; he simply wanted to help out humans which he did at the Sun House. Soya offered to become gifted so that Nero could stay longer on Earth. Unfortunately, he helped Soya during a fight and was sent to Hell. Then, Soya received a new King of the Celestial World Candidate, Zack, whom he hates for turning out to be a jerk and wanting him to join forces with a nasty bunch of power users. He agrees to help Ueki when he hears that they can save Nero. Although sometimes cowardly and weak when Soya performs his sneak attacks in conjunction with his power he can be a formidable foe. In one occasion, he put his portraits on Sano&#039;s towels, then turned them back to voices in order to launch a sonic attack on Team Marylin. In addition, his ability to use his opponent voices as well work with his tricks making it easier to deceive his foes. At the end of the series, Ai refers him as the useless member of Team Ueki. In anime, Ai refers to him as the secret savior because he gave ueki one last zai before Ueki disappeared when he was hit by Ueki&#039;s Kurogane.